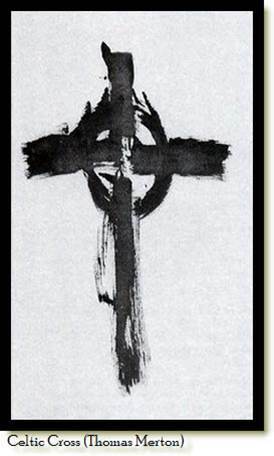 Ash Wednesday marks the first day of the Lenten season in which we are invited to spiritually and liturgically journey with Jesus in his forty day fasting in the wilderness. The ashes on the forehead tracing the cross, remind us that our lives are much more fragile and transient than we’d normally like to admit. It’s an invitation to step out of the illusion of what we generally define as “life:” that is, our plans, possessions, opinions, and identities. The ashes call us to return to our origin and look forward to our destiny: the dust of the earth. In the Jewish and early Christian tradition, a removed, ethereal, “heaven and hell” are not the focal points of the afterlife. Rather, the beginning and end of the human race is found in and on the earth through a great and very earthy resurrection. Meditating on our own deaths shouldn’t have to be from a morbid fascination or even a terrifying uncertainty. For me, the practice of simple silence is a meditation on my final journey. Parker Palmer, in his book, A Hidden Wholeness: A Journey Toward an Undivided Life, writes: “Why does the soul love silence? The deepest answer I know invokes the mystery of where we came from and where we are headed. At birth, we emerged from the Great Silence into a world that constrains the soul; at death, we return to the Great Silence where the soul is once again free.” This practice of silence is also a self-emptying; or more poetically in the Jewish theme: it’s a wandering through the wilderness. Lent is a time to enter into the reality of things over which we have little or no control, and just at that moment of surrender, as we find ourselves crushed between despair and hope, we become beauty from ashes, and our desert place is transformed into a new Eden. Blessed are You, O Lord; teach me Your statutes. The Choir of the Saints has found the Fountain of Life, and the Door of Paradise. May I also find the way through repentance: the sheep that was lost am I; call me up to You, O Savior, and save me. Blessed are You, O Lord; teach me Your statutes. You Who of old did fashion me out of nothingness, and with Your Image divine did honor me; but because of transgression of Your commandments did return me again to the earth where I was taken; lead me back to be refashioned into that ancient beauty of Your Likeness. Blessed are You, O Lord; teach me Your statute.. Image am I of Your unutterable glory, though I bear the scars of my stumblings. Have compassion on me, the work of Your hands, O Sovereign Lord, and cleanse me through Your lovingkindness; and the homeland of my heart’s desire bestow on me by making me a citizen of Paradise. Blessed are You, O Lord; teach me Your statutes. between the Father and the Son—breathed upon our faces. into the heart of our Triune God. to live and demonstrate the Gospel for the healing of the world.